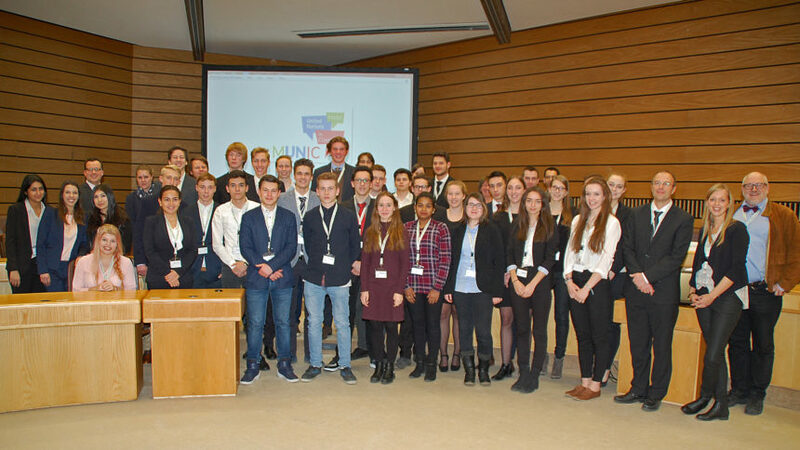 On January 27, 2017 about 30 students of the Hitthorf-Gymnasium as well of the Petrinum Gymnasium came together at the Kreishaus Recklinghausen for the first session of model united nations in classroom 2017. With this project, students are simulating the UN forum in order to come together in diplomacy by representing member states, negotiate and discuss most pressing international issues of our time. During the conference session the delegates were discussing on a very important topic, namely Combating illegal Trade in Wildlife. At this point, we are grateful for each and every supporter, delegate, organizer and fan of Model United Nations in Classroom 2017. We are especially grateful to the city of Recklinghausen for allowing us to host our conference in the Kreishaus as well as the Sparkasse Vest, Recklinghausen for their continued support. We’d like to specifically name Mr. Cay Süberkrüb, the District Administrator of Recklinghausen as well as Mr. Zumschilde, Sparkasse Vest and Mr. Andreas Müglich, Professor at the Westfälische Hochschule in Recklinghausen for their interest and support in this project. Lastly, we must say that we appreciate the hard work and dedication by all participants, especially the students of the Westfälische Hochschule, in their efforts to discuss the topics and to find valuable and lasting solutions for the discussed issues. This conference was a great success for everyone.